First stage – Building approval ! The LOVELY VIEW offers healthy living in touch with nature available to young families in a unique location with beautiful countryside views. It represents a combination of the advantages of living in the city and the countryside… It represents a combination of comfortable living in the city in a residential building with good access to the center of the capital combined with a healthy lifestyle in touch with nature and the values of community housing. 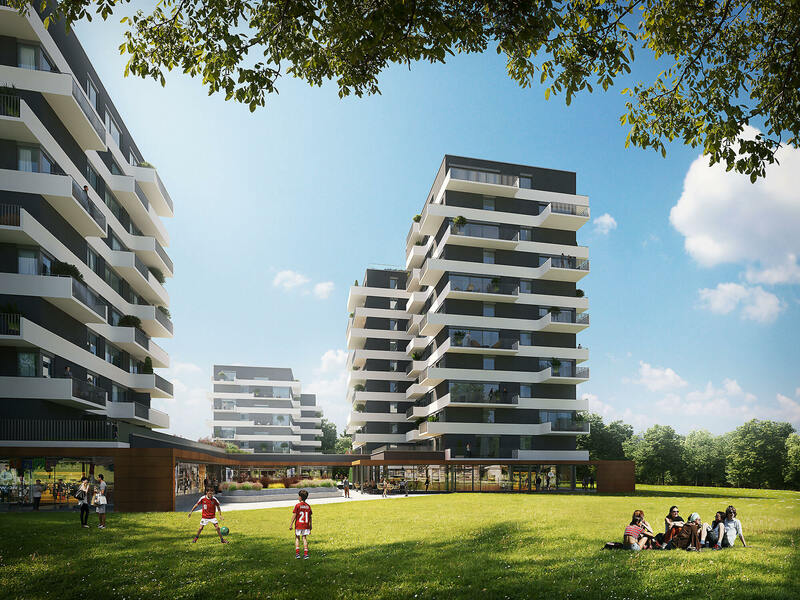 It offers a high quality of life and comfort, a community garden instead of parked cars, a higher safety for children and a pleasant shopping mall instead of a busy street, the real touch of a pine forest instead of a long travel for fresh air. 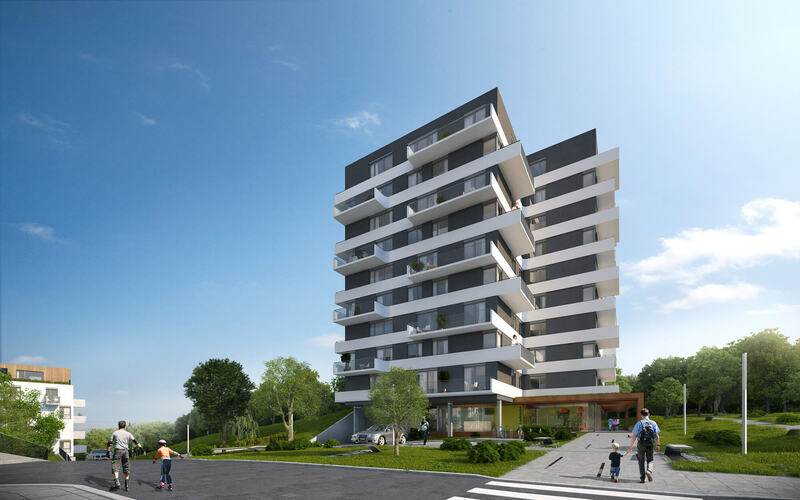 Enjoy modern flats with large terraces and stunning views of the Malé Karpaty. The Lovely view complex provides its residents a comfortable and healthy family living in the Garden city.